Do you have questions about our Kohler generator accessorys, or questions about solar in general? Give us a call at 1-800-472-1142. CH740 Maintenance Kit designed for 12RES and 14RES standby generators. Fits 12RESL, 14RES, 14RESA, 14RESL and 14RESAL models. 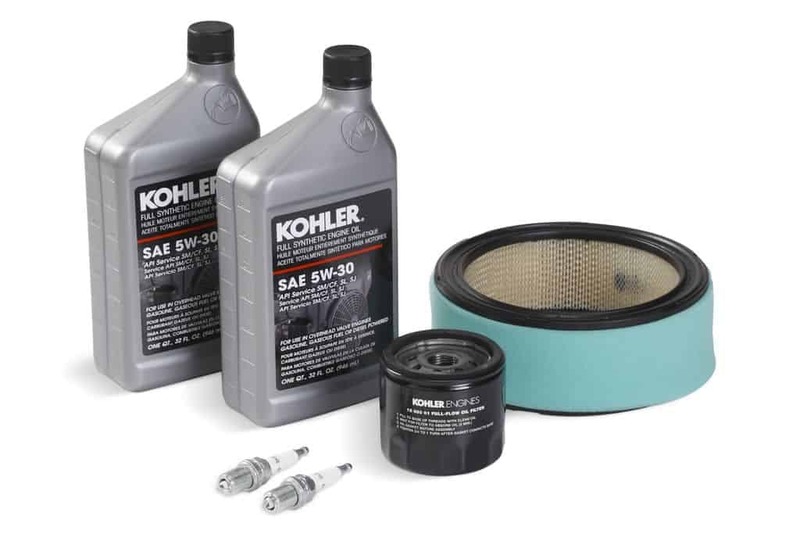 Maintenance kit allows your generator to keep running at optimal performance! Includes 2 quarts full synthetic oil, oil filter, pre-filter, air filter and 2 spark plugs. KOHLER Power Systems is a division of Kohler Co., and provides complete power systems, including generators (home, industrial, mobile and marine), automatic transfer switches, switchgear, monitoring controls, and accessories for emergency, prime power and energy-management applications. KOHLER Power Systems has delivered energy solutions for markets worldwide since 1920.